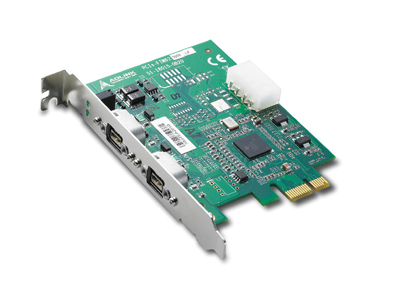 The PCIe-FIW62 is an IEEE 1394b (FireWire 800) interface card which provides two high-speed FireWire 800 ports with data transfer rates up to 800 Mb/s on a PCI ExpressR x1 lane. 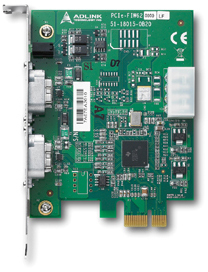 The PCIe-FIW62 provides two direct-connect IEEE 1394b bilingual connectors with a screw-lock mechanism. 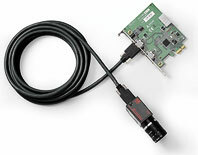 These screw-lock connectors provide a reliable connection between the PCIe-FIW62 and up to two IEEE 1394b cameras. A 4-pin ATX power connector on the PCIe-FIW62 supports IEEE 1394b cameras that draw power directly from the frame grabber. 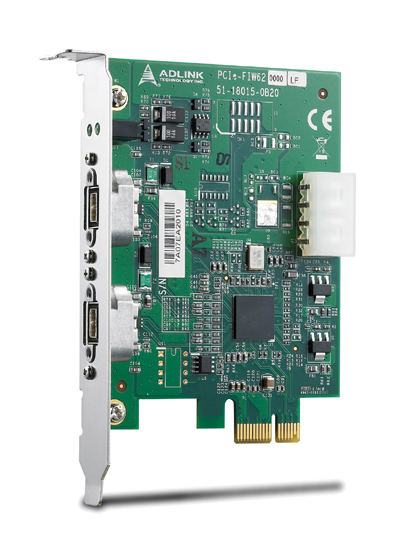 Each port has a green LED on the front panel that will illuminate when the PCIe-FIW62 is connected to a IEEE 1394b camera for convenient identification of channel connection status.